You cannot think of a website which wouldn’t provide an opportunity to leave your feedback. Multiple response forms, message or reply forms and other tools which let you keep in touch with your clients are crucial. Shape any of that yourself without coding needed! BONUS: Create unique contact form right now! 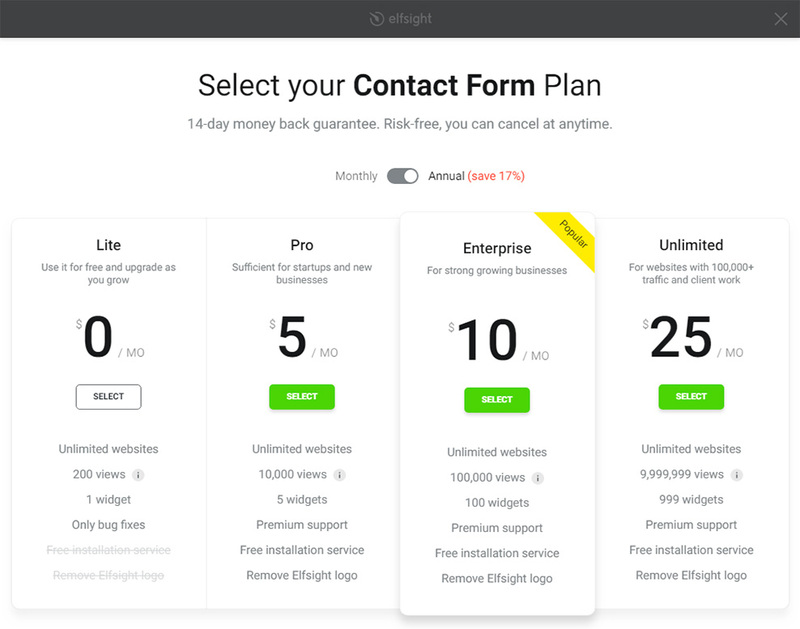 If you need a comprehensive and high-quality contact form to have maximum responses from your users and double efficiency of your page, then our plugin is the ideal variant for you. Learn more about the plugin. Stay in touch with visitors 24/7, receiving messages on preferred email and get more leads for your business! Setup of our plugin is ultimately easy and intuitive; it will take not more than three minutes. Follow all steps stated below to shape a widget. Follow the link (Live Editor) to create a widget. 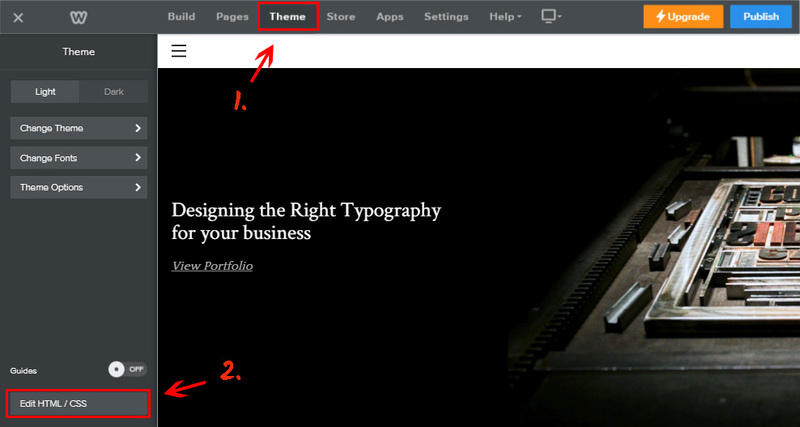 Pick the layout, and display settings to shape the widget that will suit your site best. Or find out more on main page. After your widget is ready, pick your subscription plan. We have free and premium plans to suit any needs. The finishing stage in setting up our widget is to get the product shortcode. Go to editing panel of your website. Insert Embed Code element to the required page. 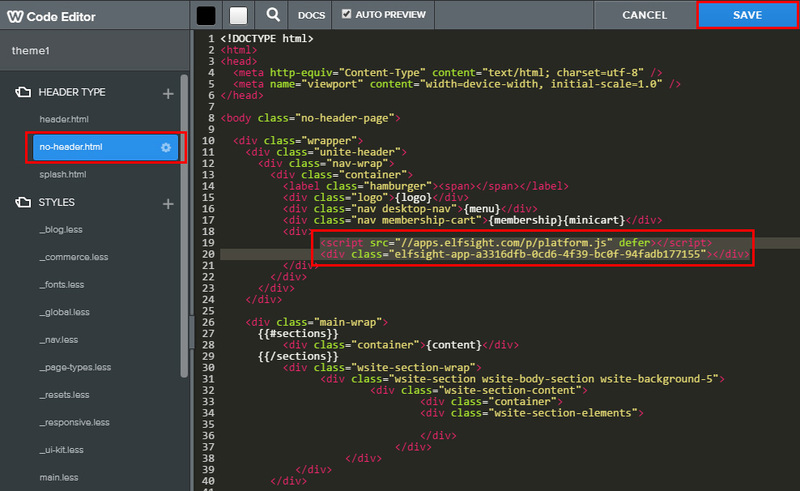 Press the element to click Edit Custom HTML link. In the appeared field, insert the code of the form and save the changes by publishing them with the help of the button in the upper menu. You have successfully installed it. Go to Weebly website and enter admin panel. 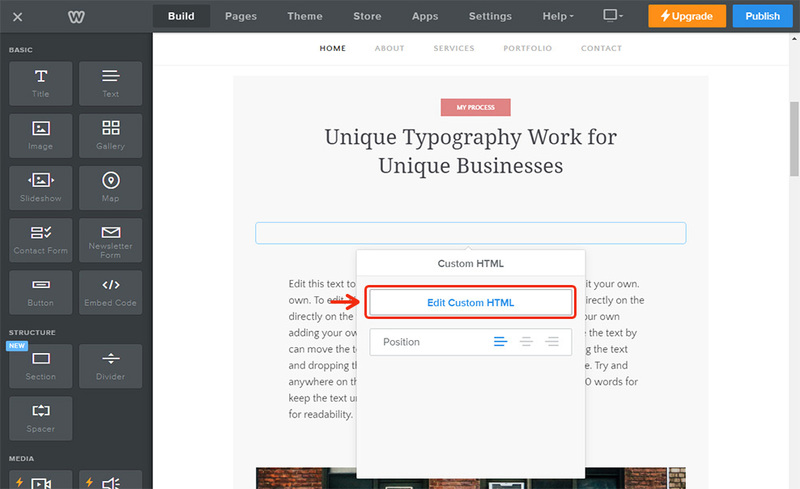 In the main menu, choose the tab with templates and click «Edit HTML/CSS». Find the theme, which is used on the website, and paste the widget code. Save the changes. 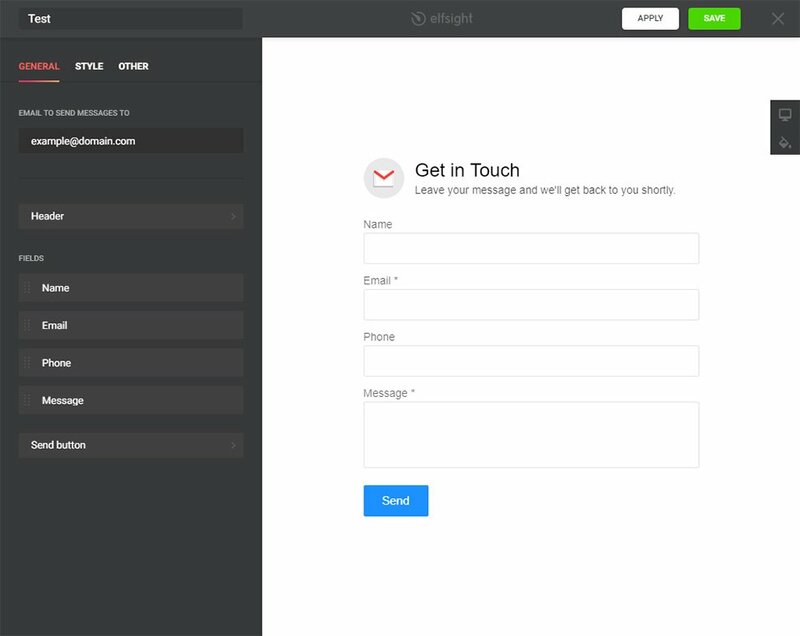 After adding the plugin it’s necessary to make all the editing of the form on Elfsight apps. Editing field names, altering look or mode of view and all other corrections, done in the plugin editor, will be immediately displayed on your resource. 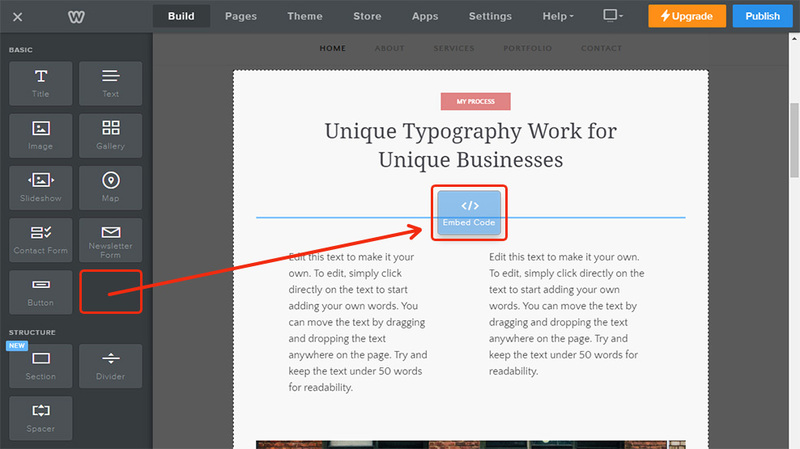 In addition, in your account you can test more our Weebly apps and set up them on your site. 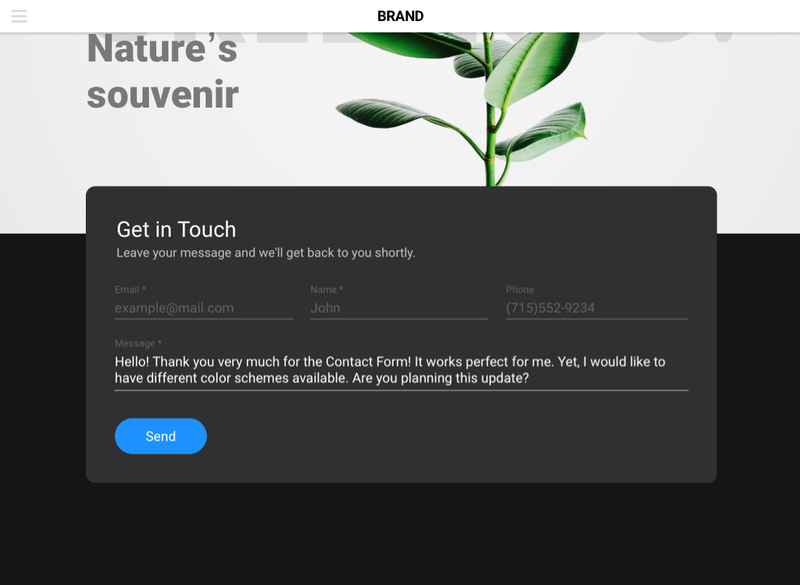 Create unique Contact Form right now! Free live editor for making widgets in a few steps.